Some owners are writing off Corey Perry after the worst season of his career, but at a recent season ticket holder event Bob Murray told his audience that he suffered a MCL sprain during the World Cup and played the whole season with the injury. He still finished the year with 53 points and 20 power-play points which is respectable for any NHL player, but not Perry numbers. 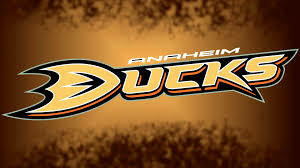 He’ll come back to camp 100% and with the depth Anaheim has he could get back up to that 30 goal, 65 point plateau. Anaheim played it mellow during free agency, but had some subtle signings. First, they signed Ryan Miller to back up and mentor John Gibson. With Gibson being injury prone, look for Miller to get into 25-30 games to give Gibson rest when needed and fill in if he gets hurt. Murray also signed free agents Derek Grant and Dennis Rasmussen to one-year deals. They will provide good forward depth in Anaheim gets into injury trouble like they did in the playoffs last season, but they’ll be fourth line guys. The key signing was re-upping Patrick Eaves to a three-year deal. He clicked with Getzlaf right away and if Eaves can stay healthy look for him to get his quick release off a lot playing shotgun with Getzlaf and potentially another 30 goal season. 1. Sam Steel – Exploded for 131 points in 66 regular season games. He also excelled on the defensive side of the puck and does not have anything left to prove in junior. He should get a nine game look and could potentially center a line with Corey Perry and either Rickard Rakell or Nick Ritchie. 2. Max Jones – He reminds me of Nick Ritchie, but with more skill. Bob Murray says he has all the tools and the body to play in the show, but needs to mature. He doesn’t have much left to prove in juniors, but Anaheim won’t keep him around to play 4th line minutes so he will most likely spend next season in London. 3. Jacob Larsson – Started in Anaheim last season, but he needed more seasoning so Anaheim loaned him back to Sweden. He should come back over to North America this season and potentially start with Anaheim again as they already have a couple of injuries on the blue line, but will most likely spend most of this season in the AHL. 4. Ondrej Kase – Played most of the first half on Anaheim’s third line, but he got injured and lost all of his confidence. Went down to the AHL and came back up for Anaheim’s second and third round and his speed and creativity were evident. Management allowed Kase to pick a lower number, so that is an indication he should play in Anaheim’s top nine this season. 5. Troy Terry – He killed it for USA in the World Juniors this past year and has committed to defend his championship with the University of Denver. I expect him to sign his pro contract at the end of the college season and see a few games in the AHL. I see him as a potential middle six, two-way center when he makes his way into the show. 6. Kalle Kossila – Played one game in the show last season and finished with 48 points in 65 games during his first professional season. Give him another year in the minors and then I see him as a shutdown third line center. 7. Maxime Comtois – Big, rugged winger. Definitely fits into Anaheim’s rough and tumble line up. Should spend another two years in junior to round out his offensive skills and consistency, but he has a high hockey IQ and plays with a lot of energy. 8. Andrew Welinski – Just finished his first professional season with the Gulls. He is another future defenseman for the Ducks. He is a leader, can move the puck quickly out of the zone, play the point on the powerplay, or play a shutdown role. 9. Jaycob Megna – He is a better player than fantasy player, but will help your team out if you count peripheral stats. He is 6-6/ 225 pounds and is a plus 56 in his last two seasons in San Diego. He saw one game for Anaheim and was a plus one. He scored 27 points last season, but with his size will earn you PIM, blocks, and hits. 10. Kevin Roy – Another rookie to professional hockey, Roy has the speed and skill to play, but the knock on him is his size. However, today’s NHL is all about speed so he could see a cup of coffee in Anaheim this season if a winger or two get hurt. Ondrej Kase – After the Gulls were eliminated, he played in the entire Nashville series and his speed was evident. After the Ducks suffered a few injuries, he played with Getzlaf and scored two goals along with multiple posts. You could see the chemistry was there and if Carlyle decides to spread out his talent, Kase could see minutes with Getzlaf again this season. Andrew Welinski – He reminds me of a fusion of Brandon Montour and Josh Manson. He can move the puck, gets his shot through from the point, and plays tough in his own end. Anaheim is deep on defense so he will get more seasoning in the minors but I feel he is a future NHL defenseman. Kalle Kossila – During his end of the year interviews, Murray said he wants to infuse more youth into his line-up, and Kossila could be a beneficiary of this. He has a high hockey IQ and is solid in his own end. With the loss of Nate Thompson, a center position has opened up and Kossila could start the season with Anaheim if he has a strong camp. Nic Kerdiles – Forced to miss two thirds of the season with a concussion, he scored 15 points in 27 games. He suited up for four playoff games with Anaheim, but seemed nervous on the ice. He brings energy on the rink, but once was a promising top nine forward, now is a ceiling of a fourth line energy guy. Julius Nattinen – After demanding a trade last summer, Nattinen did not have a season to remember. He only scored 38 points in 51 games and was a minus player on a very good Spitfires team. Hopefully it was more of a sophomore slump, but after requesting a trade and then having a down year, beware.